This is not your ordinary watch that you use for monitoring time, this watch lets your child be monitored through GPS tracking, whether there walking to school or on an excursion, or simply over at their friend’s place. You can monitor them at any time and place, even if your overseas you still have the ability to watch over your kids, there will be boundaries stopping you from knowing that your child is safe. Free APP available on both Desktop and mobile devices will allow to monitor through the app. The app has powerful features that lets you take full control over any of your problems, you can setup this GPS watch to professionally serve you, you can locate your child at any part of the world, you can even get alerts when something goes wrong, this GPS feature two ways audio communication which means that you can call your child at any time, your child can easily use an SOS button to call for emergency and even so calls be sent on the watch from your phone. 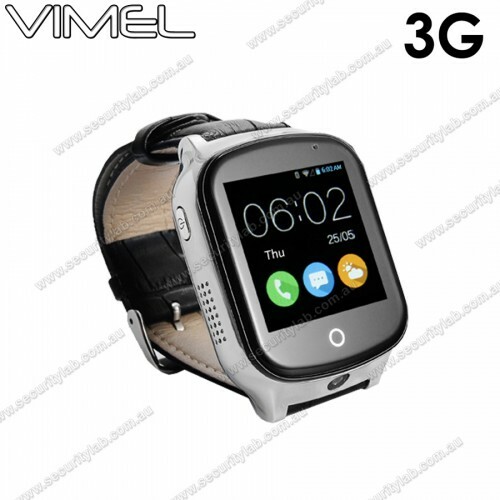 You can set up to 6 mobile numbers to the device, using touch screen function your child can answer any of those calls and communicate through the built-in microphone, a built-in speaker is also provided as way for you to communicate back, using this GPS at its potential will give you the power and a guarantee security for your anyone who wears this watch. The location updates every 6 mins but when a SOS button is activated tracking is updated every 20 seconds, so you wont need to worry over tracking as it automatically sends you notifications to your mobile device through SMS, the best feature is that you can set up boundaries at any area once your child leaves the premise an alarm notification we also be sent to let you know that your child has left the boundary. Journey history is also a feature that gives and sends you reports on your mobile phone, you can examine at what time and place your child travelled at. If you personally think that your child is too young for a smart phone but your still concerned about the safety, then you can forget about that trouble and just let your child wear this watch, the design structure is small and convenient enough for any child, you can customise the wrist band strap, in blue, pink, green and grey, or if you want you can setup your own customised wrist strap. You can choose one of our voice plans, it gives you the freedom to contact them should you need to without the expense of lock in contracts and allows your child to call and be called by 6 linked mobile numbers.